Bhartiya Janata Party President Amit Shah has been discharged as an accused in the 2005 Sohrabuddin fake encounter case, by Special CBI Judge M.B. Gosavi. Charges of criminal conspiracy leveled against Shah, who was Gujarat Home Minister when alleged encounter of Shaikh and Tulsiram Prajapati was committed, have now been dropped. The Judge observed that the entire record, when considered in entirety, does not support a case against Shah, while recording his reasons for discharging the accused under section 227 of the Code of Criminal Procedure (Cr.P.C). Defence council S.V. Raju contended before the Court that not only was there no direct evidence against Shah, there was nothing to even show that he had made calls only to the police accused in the case. He asserted that as the Home Minister of the State, it was a part of his practice to stay in touch with the field police officers, a contention that was supported by the CBI as well. CBI however, according to Mr. Raji, has a "sinister design to politically implicate him" by relying on call records pertaining to only a limited period, during the encounters. The agency had shown that the police officers implicated in the case had called up Shah for an unusually high, few hundred times in a year. Advocate Mihir Desai, appearing on behalf of the complainant Rubabuddin had asserted that the Court had enough evidence to frame charge and by reason of this, the case should go for trial. He argued that there was enough evidence to link Shah to the encounters and hence, he shouldn’t be discharged. Congress has expressed its concern over the decision, describing it as “strange and worrisome” and has alleged that there was "government pressure" on a "chained, caged and totally immobilized" CBI. Earlier in June, days after Special CBI judge, J.T. 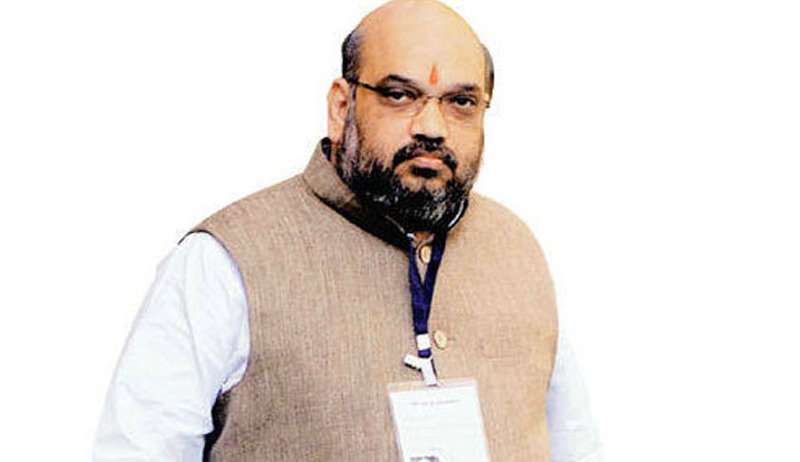 Utpat reprimanded BJP General Secretary Amit Shah for non-appearance in the court in relation to the fake encounter cases of Sohrabuddin Sheikh and Tulsiram Prajapati, the judge was transferred to Pune. Gangster Sohrabuddin Sheikh was claimed to have links to Pakistan-based terror outfit Lashkar-e-Toiba. He, along with his wife Kauser Bi were abducted by Gujarat’s Anti-Terrorism Squad when they were on way from Hyderabad to Sangli in Maharashtra and killed in an alleged fake encounter near Gandhinagar in November 2005.